OUR PRICE: $62.95 - Join Rewards Get $6 Dance Dollars On This Item! I ordered a size larger than my daughter normally wears in all other capezio shoes so that such an expensive shoe would last a full season. When these arrived, I presumed the wrong size had been sent - they look like baby shoes! (I ordered size 13, these look literally like what she wore when she was 2 or 3 years old). Nope, not the wrong size...they were size 13. Unbelievably small. 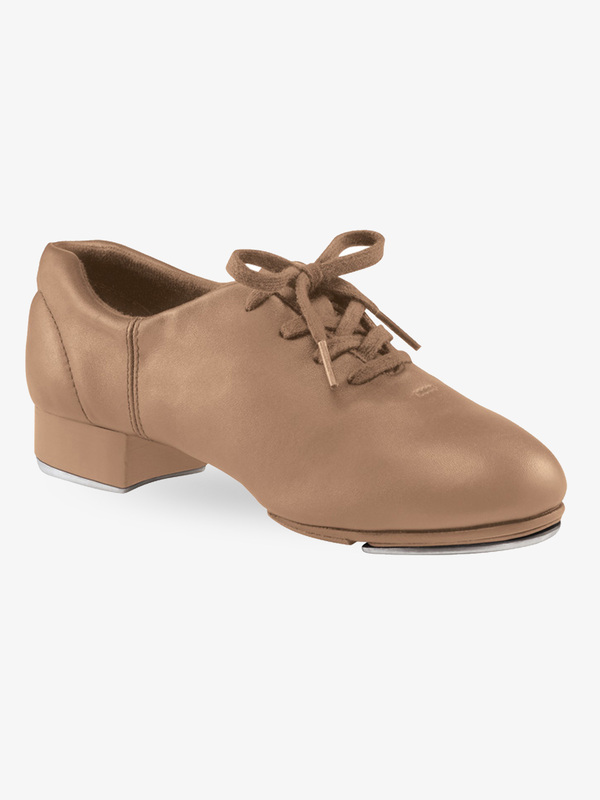 I have no idea why Capezio sizes these shoes differently from all their other tap shoes. Hello. We apologize for any inconvenience this caused. The sizing for these shoes may have changed and we'll contact you shortly to assist you in selecting the right shoe in the right size. Daughter loves these and they are super comfy tho crazy sizing Capezio needs to fix this - ended up ordering from Amazon because sizing was so off. Nice shoes. I purchased a wide for my daughter and they still seem to run small in terms of both the length and width. My daughter is a 12.5/13 in street size. I read the reviews and ordered a size 2. It won't even go in! These are VERY expensive tap shoes, and to return I have to pay $6 dollars return fee?!!! I heard that the shoes do not run in a size 3 youth, so my next option is buying adult size 4, which are even more expensive. I am disappointed in DDS for not providing free returns to their customers knowing that these problems with sizes can happen. I don't think I will be ordering from DDS very often any more. 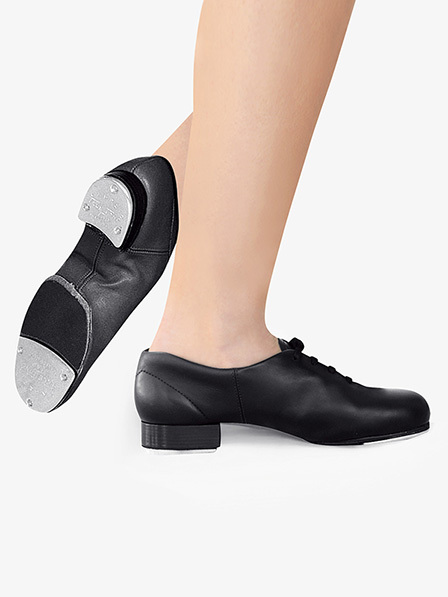 My daughter loves these luxurious tap shoes! They run at least a full size small, however, compared to the other Capezio tap shoes we have. Order a full size larger than you think you need! If I remember correctly, the product listing said that when ordering for a child, to order street shoe size. My son (yes, he dances!) wears a size 11.5XW, so we ALWAYS have to special-order his shoes. After checking the other reviews I ordered the 13.5W, and they fit fine. The fact that they are leather will allow them to stretch over time for that really wide foot, but even straight out of the box, my son did not complain about them being tight. (This was a problem last year with the synthetic ones). These are comfortable, they are flexible, and they FIT....as long as you order 2 sizes up. As far as sound. . . he's 4--they make sound. That's all that matters. Quality of sound is a non-issue, because the skill to make it is missing! Maybe someone who has a skilled dancer would have more of an opinion. These shoes fit VERY small. The description stated to order street size, but I went up 1/2 size anyway. They were so small, m\y daughter's foot would not even completely go into the shoe. VERY small fit. I would estimate that you'd need to go up at least 2 sizes to make this shoe fit properly. These are great shoes. My daughter loves them. Great look, sound and flex. However, they do run very small. Two sizes small in our case. My daughter is size 11.5 in street shoes and her Bloch Tap shoes. Her size in these shoes is 13.5. We originally followed capezio's recommendation and ordered street size. Discount Dance was great to work with me in returning and reordering larger sizes. But it was an inconvenience to all. Capezio's guidelines are incorrect.